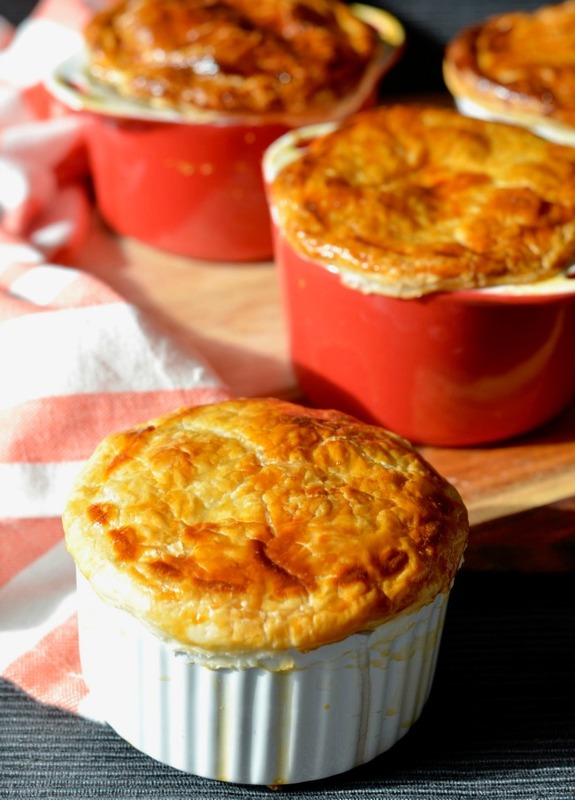 Homemade pies are such a good winter dinner option, and these mushroom pot pies are delicious. They take a little bit of prep time but they are most definitely worth it. 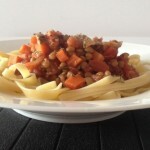 They’re hearty, warming and very easy. You won’t regret giving them a try! Roughly dice the mushrooms and add to the pan, stirring through. Cook for 10 minutes. Combine the cornflour with a few tablespoons of water and whisk until combined and lump-free. Add to the mushroom mixture along with the drained and rinsed lentils. Season with salt and pepper. Spoon in to ramekins and then cut the pastry into rounds slightly larger than the ramekins. 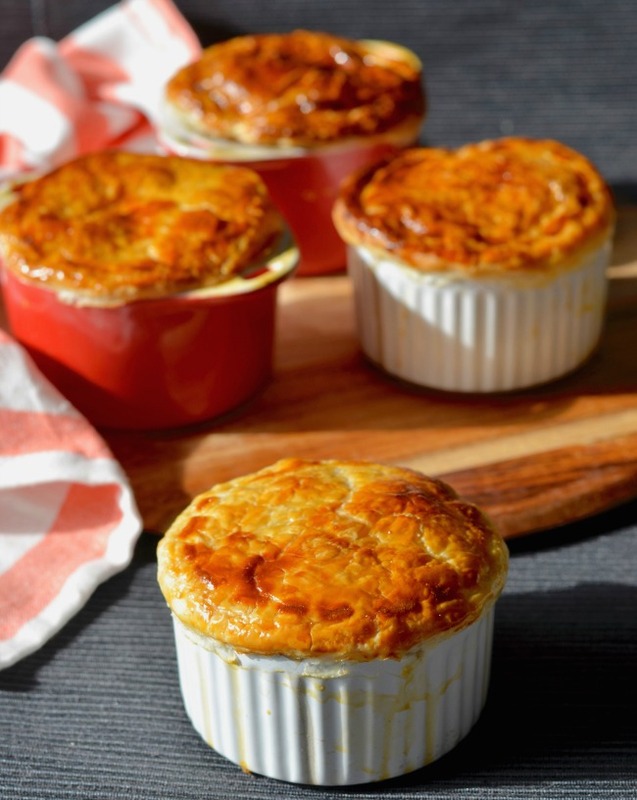 I know that looks like a lot of steps but these mushroom pot pies are worth it! Plus, there’s lots of down time when things are simmering away, so it’s not hands on the whole time! 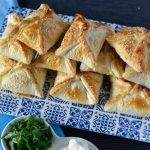 You definitely want to eat them straight from the oven, so if you don’t need all of them at once then only bake what you need. The mushroom mix will keep fine in the fridge, so just reheat it and then pick things up again from the pastry steps. Perfect! I used a mix of brown swiss and portobello mushrooms in my pot pies, but whatever mushrooms you have handy will work. 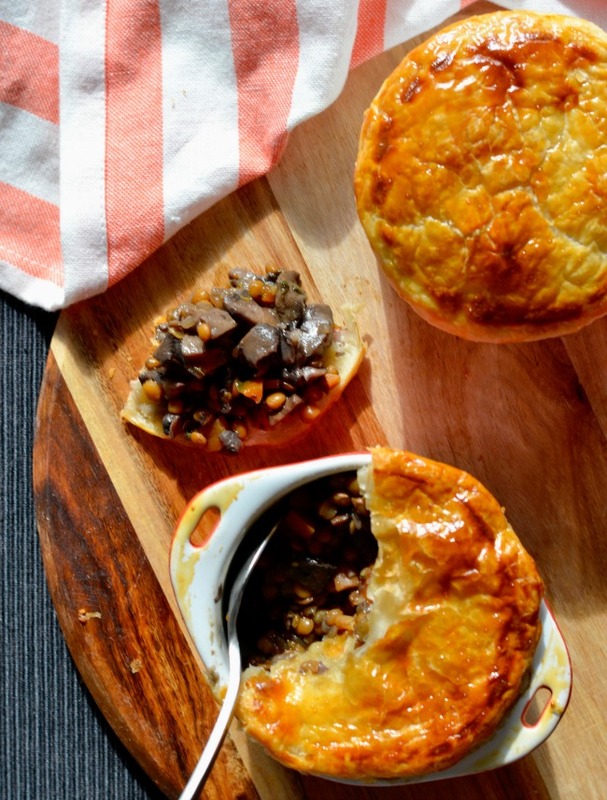 The mushrooms give these pies an almost meaty flavour, so they should satisfy everyone’s winter cravings! 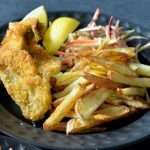 I served mine with some simple steamed greens which made for a super satisfying and all round healthy dinner. An absolute winner if I do say so myself! 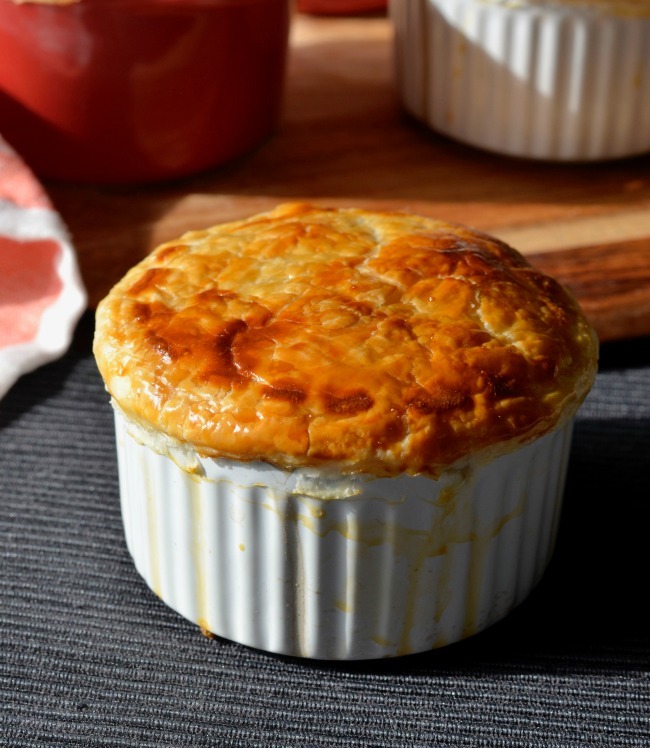 Are you a fan of mushroom pot pies as well?